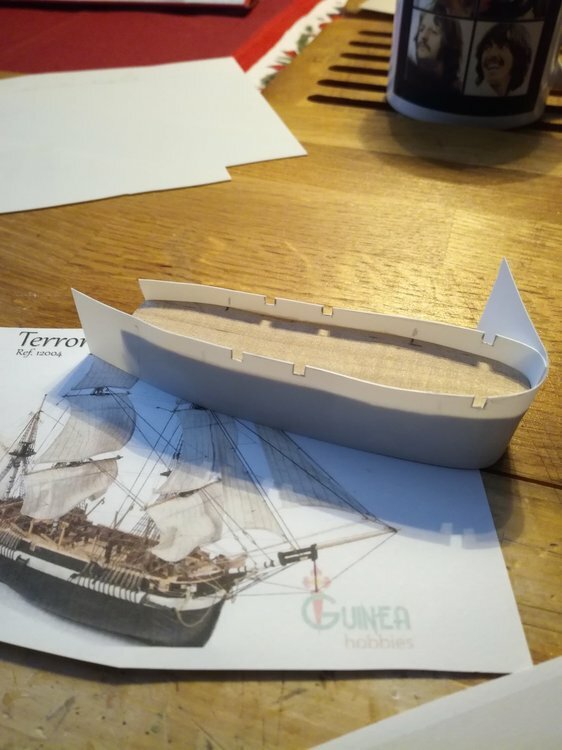 HMS Terror; together with HMS Erebus were modified Royal Navy ships that attempted to find the North West passage through the ice packs of King William Islands in the Canadian Arctic in 1845.Terror was the first Royal navy ship to be fitted with screw power from a locomotive engine. 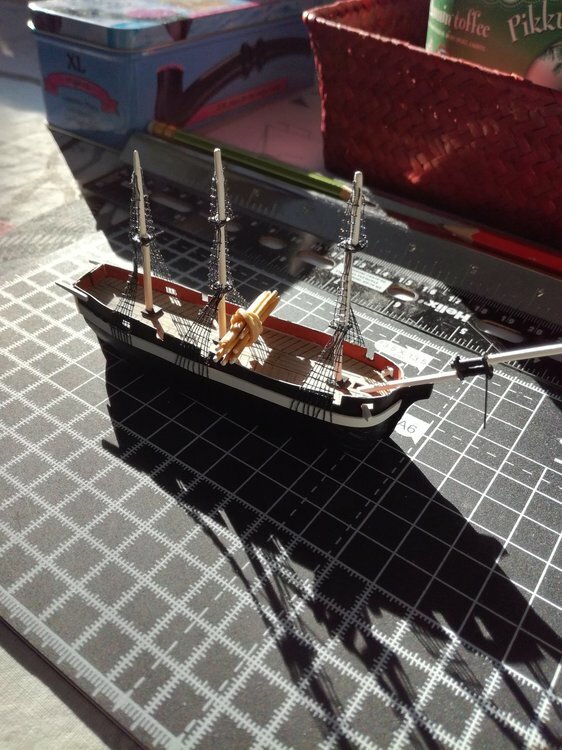 The expedition failed and unfortunately all the crews of both ships perished. 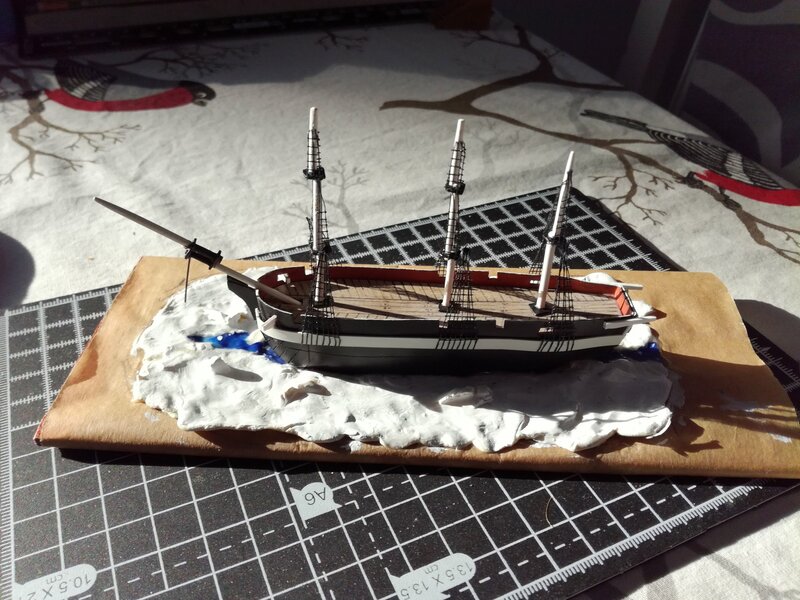 The wreck of Terror was discovered in 2016. 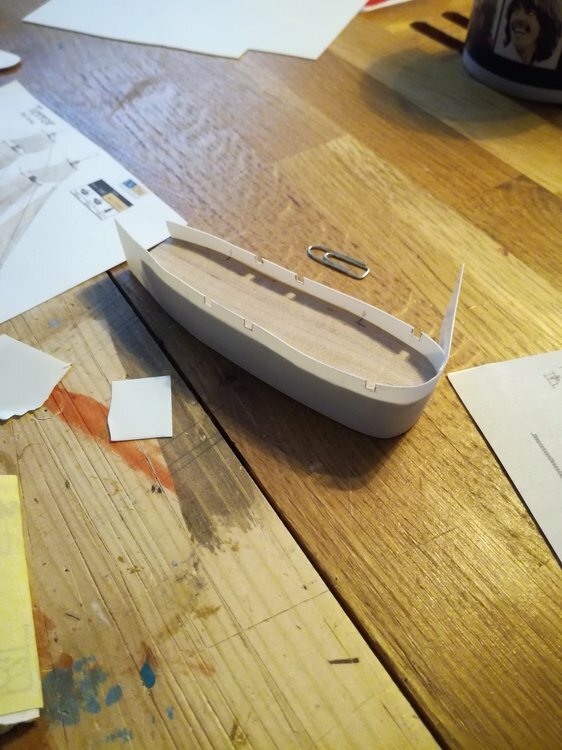 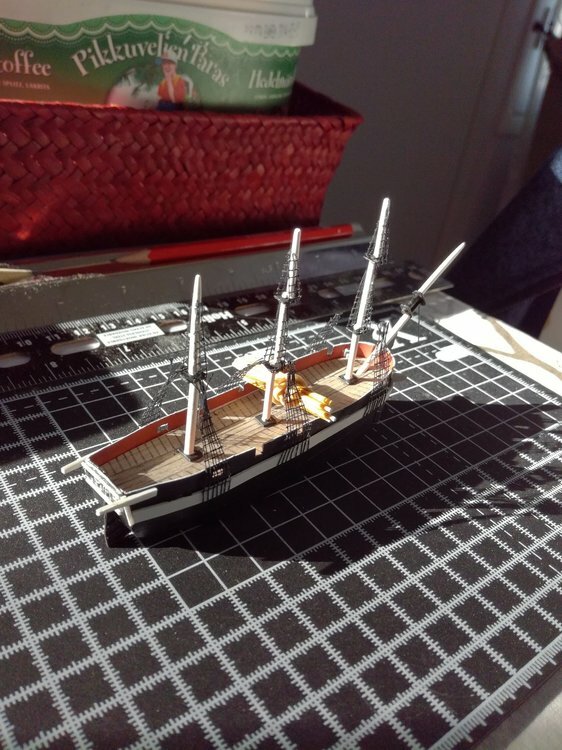 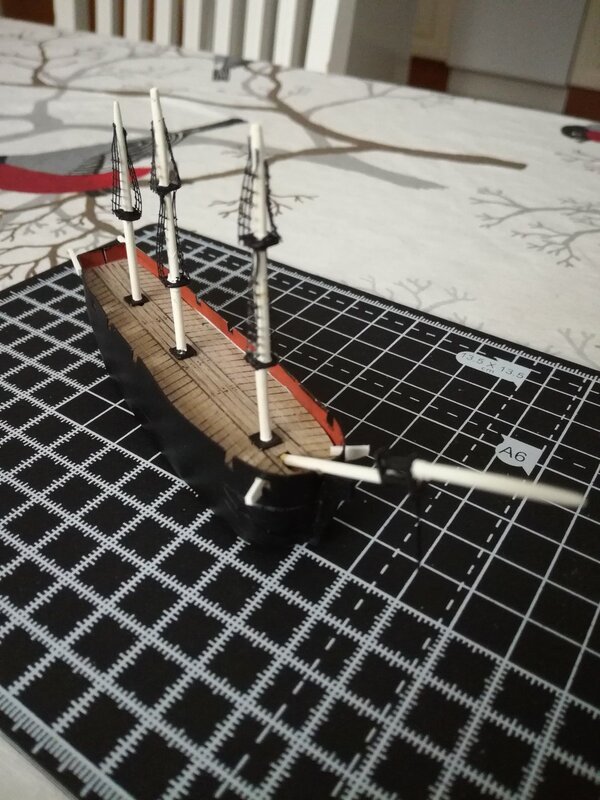 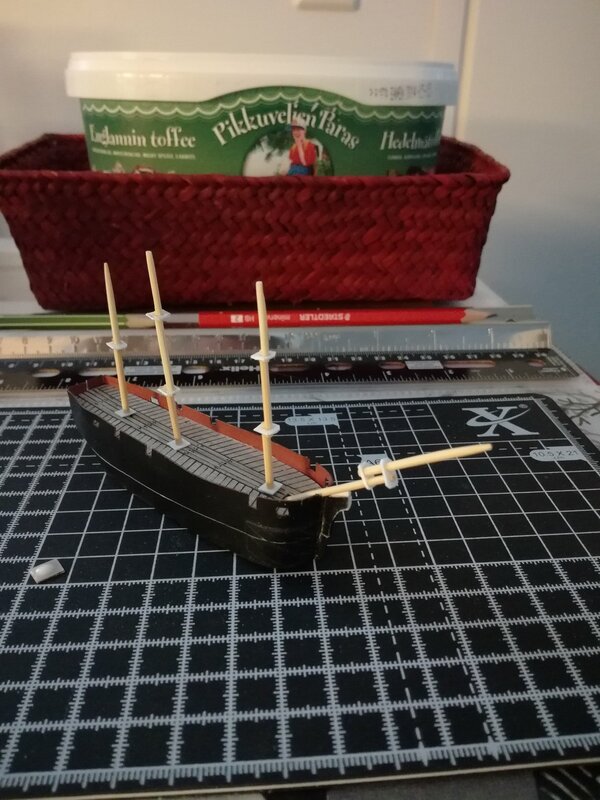 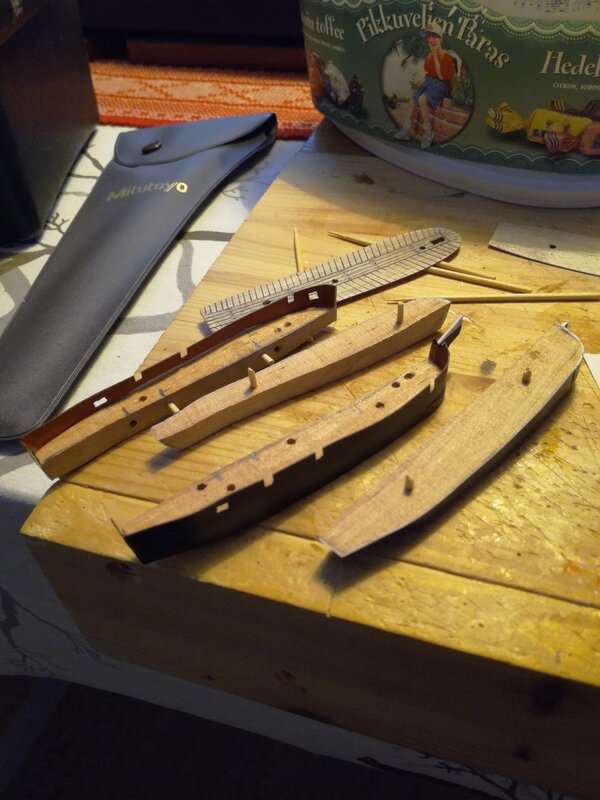 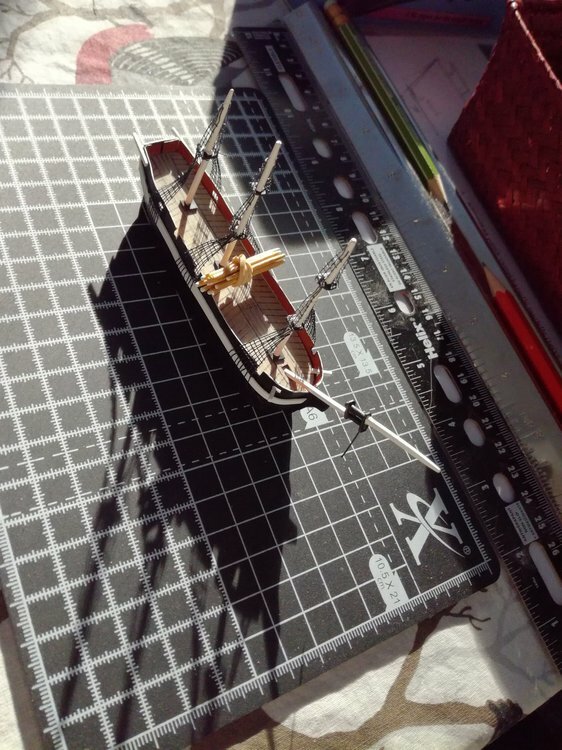 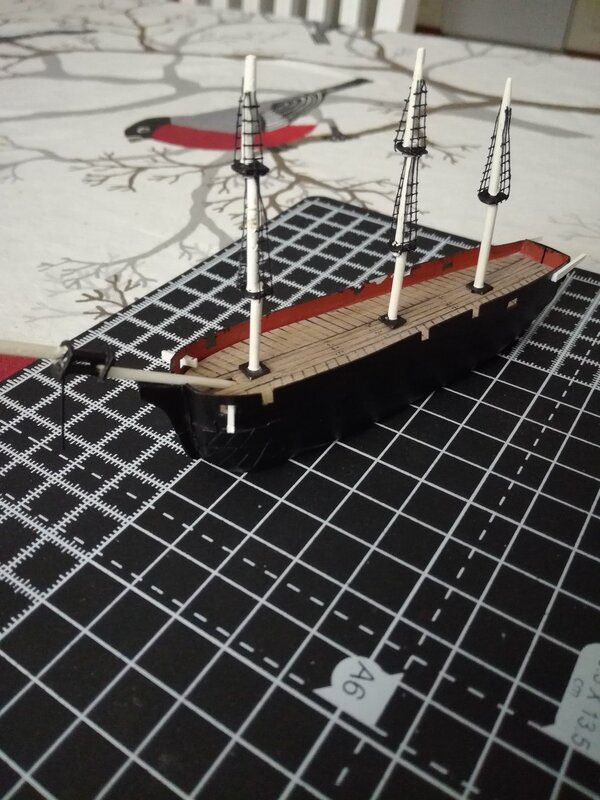 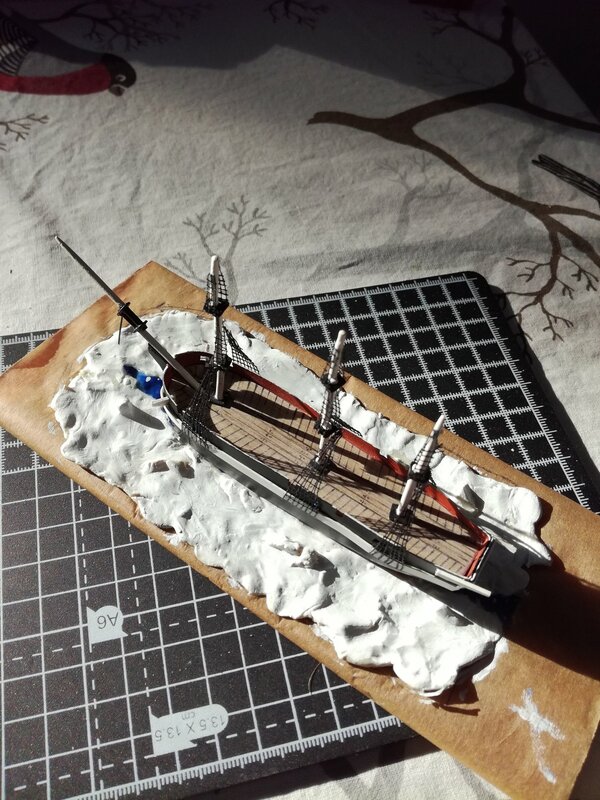 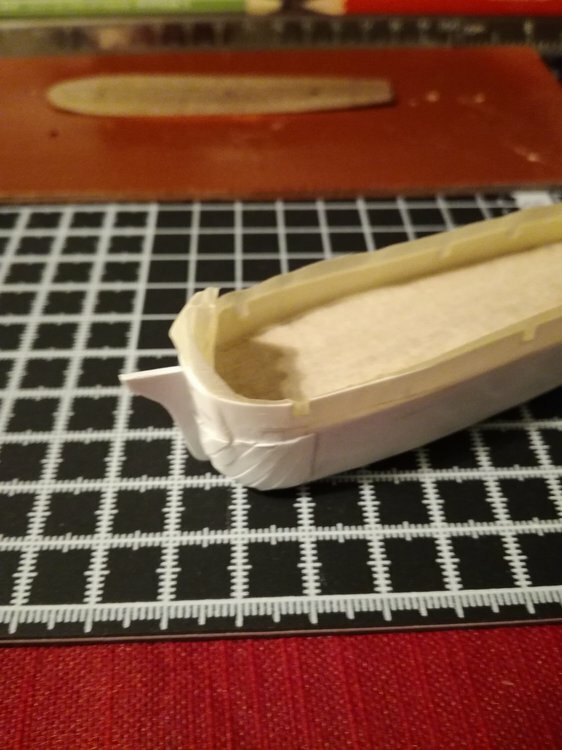 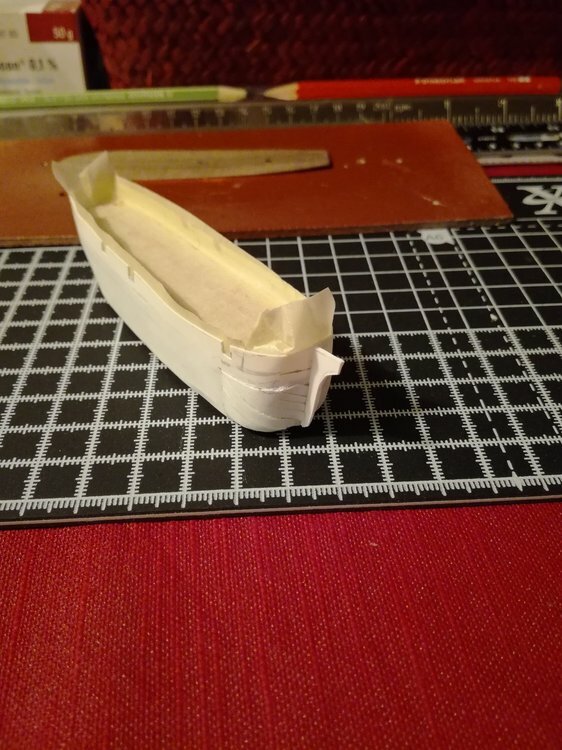 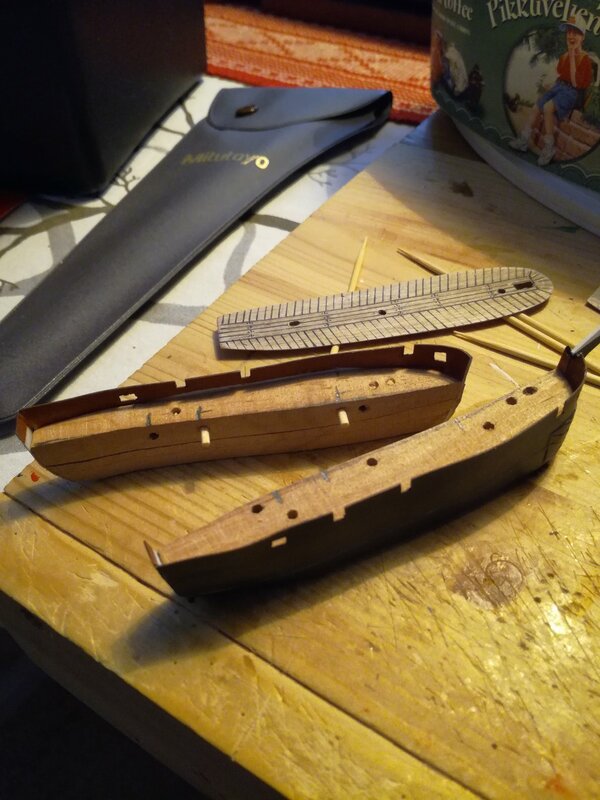 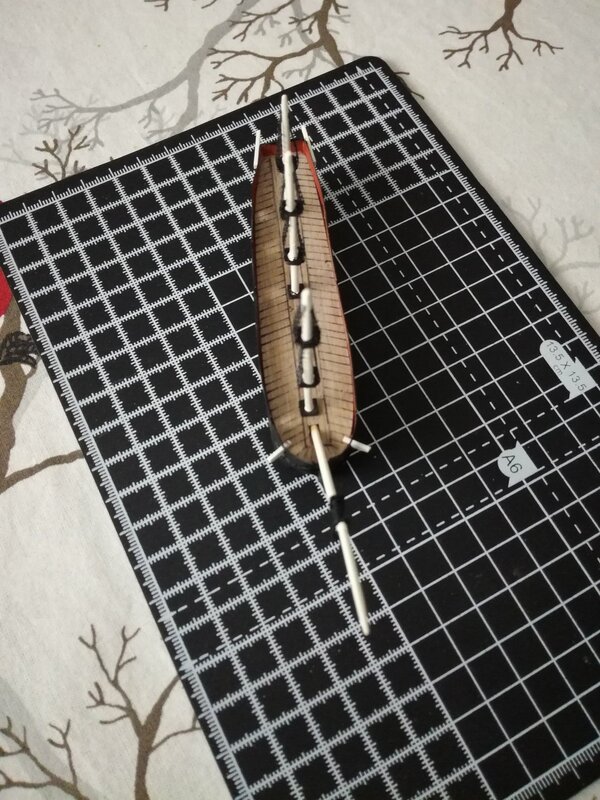 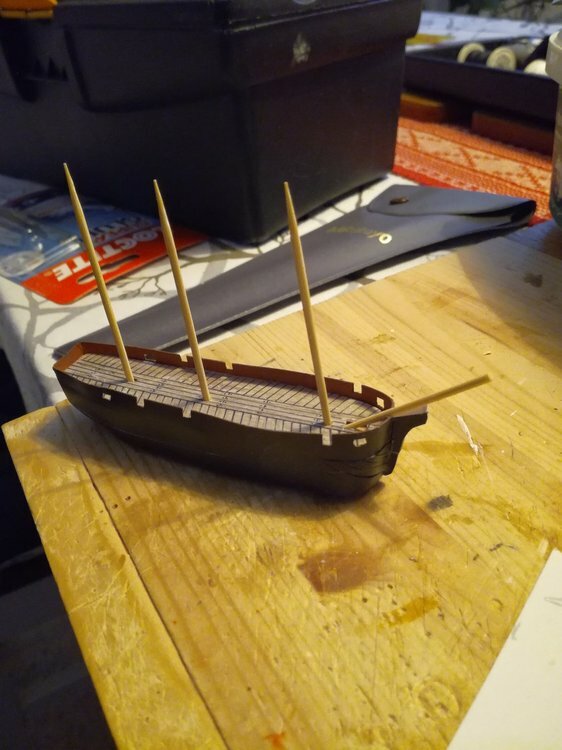 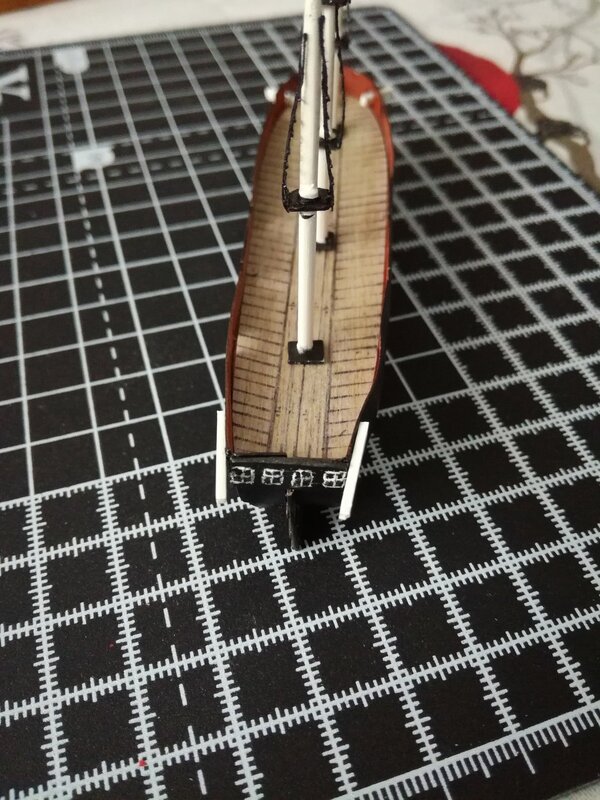 Shaped the hull from some Alder wood and cut and fixed the bulwarks with styrene, overlapping at the bow end with super glue.The prow of Terror was reinforced with metal plates and I have tried to imitate these with strips of styrene.Added bowsprit and she's ready for painting. 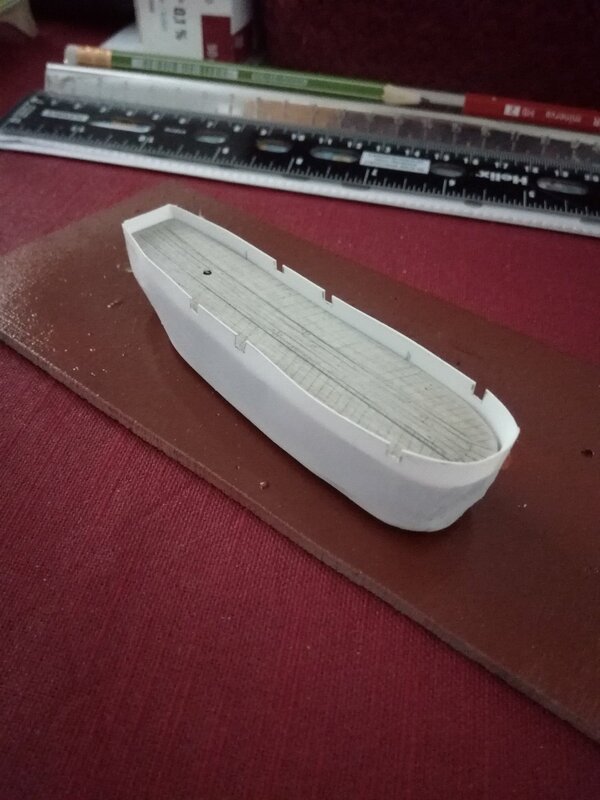 I really need to get into styrene. The bulwarks look great.